Russia’s coal industry, reeling from a drop in domestic demand, hopes to increase exports to China, the world’s largest consumer and producer of the fuel. 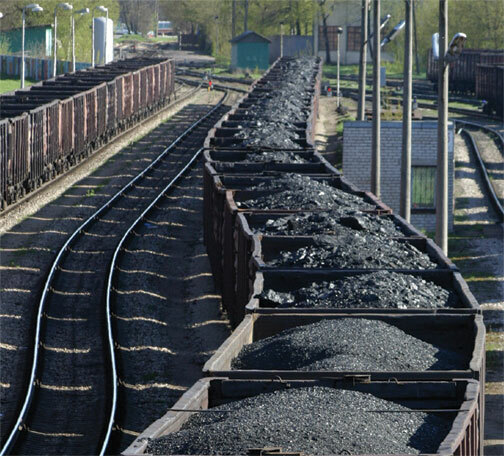 “We expect to increase our coal exports to China and to countries in Southeast Asia by improving our port and rail infrastructure,” Ivan Grachyov, chairman of the State Duma Committee for Energy, told reporters in a video conference. He said the government expects this year’s coal shipments to China to reach 20 million metric tons, compared with about 19 million tons last year. China has said that it hopes to work with Russia on natural gas and nuclear energy projects, increase coal and electricity imports from the country and expand cooperation in renewable energy and energy-efficiency projects. The goals were expressed during the 10th meeting of a bilateral energy cooperation committee in Beijing this month. Russia is the world’s sixth-largest coal exporter after Indonesia, Australia, Colombia, South Africa and the United States. It’s building a new port in its Far East region with annual capacity of 140 million tons. That volume would largely satisfy the demand of the Asia market. Grachyov said that the potential for Russian coal exports to grow is “tremendous” since China burns almost as much coal as the rest of the world combined. Russia, with the world’s second-largest recoverable coal reserves (mostly in Eastern Siberia and the Far East) can offer high-quality coal at low prices. China became the world’s largest coal importer last year, and its thermal power plants generate 70 percent of the country’s electricity. Experts noted, however, that China faces huge environmental issues, and its coal imports might not increase significantly in the coming years. “China’s own coal production has grown rapidly in recent years, and its domestic market was glutted when electricity demand slowed sharply last year,” said Chen Yafei, vice-director of the Beijing Research Institute of Coal Chemistry at the China Coal Research Institute. Chen said declining demand for coal in Russia and other parts of Europe, the result of coal-fired plants closing to meet tighter environmental standards, is compelling Russian sellers to focus increasingly on Asia, especially China. Domestic demand in Russia decreased 14 million tons, or by 7 percent, in the past five years, media reports have said. “Russia has too much of its coal going to China, but it has to be competitive with coal from Indonesia and Australia,” he said. Russian coal does have some advantages, such as lower transport costs and the ability to use rail lines to move large quantities, Chen said.